In this novella from Herman Adr, the autobiographical elements are more obvious than in his previous novellas and stories. Yet, the first-person narrator is nowhere centre stage, the father and the mother remain the main characters all along. However, this detached manner of writing emphasizes how very evocative various scenes are. It could be said that the novella deals with Death. With the sudden death of the father, and with the slow, painful deterioration of the mother into her dementia, followed by death. Yet it is not a sad novella. This is caused by the indestructible cheerfulness that the mother possesses, which never leaves her, not even at the end of her life, when she hardly recognizes anyone and her world becomes ever more limited. It is as if people near her suffer more in the end than she does herself. 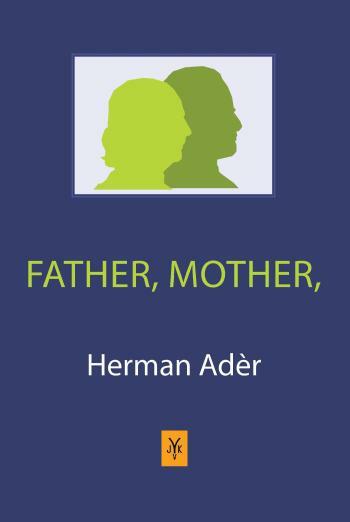 The novella `Father, mother,' is translated from the Dutch novella `Vader, Moeder', also published by Johannes van Kessel.